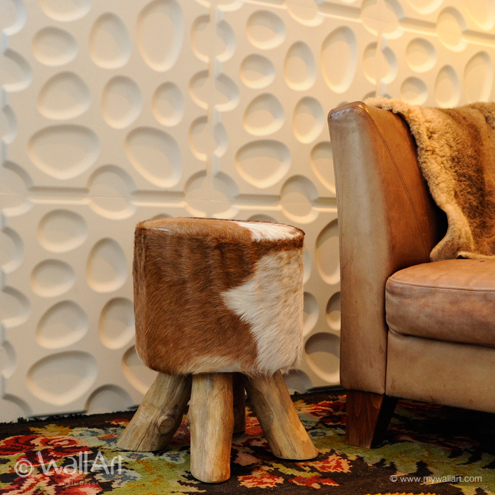 Some say this design reminds them of river stones. Others are thinking more of Swiss cheese. 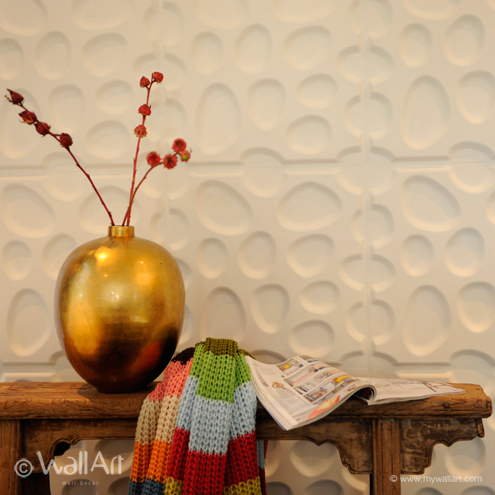 All we can say is that our 3dwallcover Pebbles is an imaginative and inspiring design that looks great anywhere! 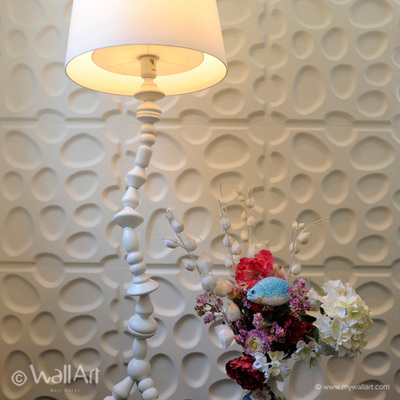 Our 3dwalldeco has a size of 50 centimeter by 50 centimeter and they are easily to be installed by yourself. 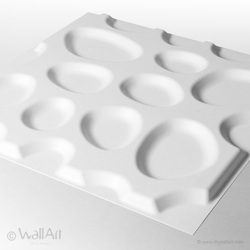 A single WallArt commercial packaging contains 12 pieces of 3d walldeco which covers a total of 3 square meters of wall.